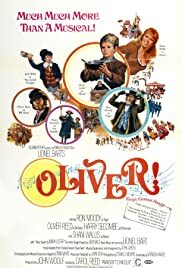 Oliver's Lester To Battle Craig At The Box Office? A poor boy and the Prince of Wales exchange identities, but events force the pair to experience each other's lives as well. Fagin: [sings] In this life, one thing counts / In the bank, large amounts / I'm afraid these don't grow on trees, / You've got to pick-a-pocket or two / You've got to pick-a-pocket or two, boys, / You've got to pick-a-pocket or two. Boy: [sings] Large amounts don't grow on trees. / You've got to pick-a-pocket or two. Q: What are the three scenes inspired or taken from the Dickens' novel that were not in the stage version? Q: What makes this film different from Dickens's "Oliver Twist"? I took part in a little mini production of this when I was a bout 8 at school and my mum bought the video for me. I've loved it ever since!! When I was younger, it was the songs and spectacular dance sequences that I enjoyed but since I've watched it when I got older, I appreciate more the fantastic acting and character portrayal. Oliver Reed and Ron Moody were brilliant. I can't imagine anyone else playing Bill Sykes or Fagin. Shani Wallis' Nancy if the best character for me. She put up with so much for those boys, I think she's such a strong character and her final scene when... Well, you know... Always makes me cry! Best musical in my opinion of all time. It's lasted all this time, it will live on for many more years to come! 11/10! !